lift strands of hair ? pat nose ? ears ? imagine, one on each side of our heads! carrying Ravi's computer screen kiss ? infinities in the palm of my hand ? Charlotte Mandel's latest book of poetry, just released from David Robert Books, is titled Through a Garden Gate, poems inspired by the stunning garden settings created and photographed in color by Vincent Covello. Her awards include winner of the 2012 New Jersey Poets Prize and two fellowships in poetry from New Jersey State Council on the Arts. As a suburban wife and mother, Charlotte wrote no poetry until her true poetic self came to the fore in midlife. That self has now accomplished the publication of nine books of poetry, including two poem-novellas of feminist biblical revision; articles of literary scholarship, most notably essays on the role of cinema in the life and work of poet H.D. (Hilda Doolittle); being publisher/editor of Saturday's Women, the Eileen W. Barnes Award Anthology; teaching—she recently retired after several years teaching poetry writing at Barnard College Center for Research on Women; and earning nearly a dozen fellowships and residencies. 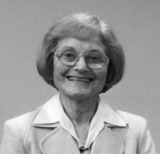 Learn more about Charlotte at www.charlottemandel.com. What a beautiful poem. Thank you for sharing it with us today. Warms my insides. Best Mother's Day poem I've seen! This is so beautifully written. So descriptive. Great grandsons are just wonderful. This is the most beautiful poem I have read in a long time.